SOMBA BASEBALL OPENING DAY 2019! 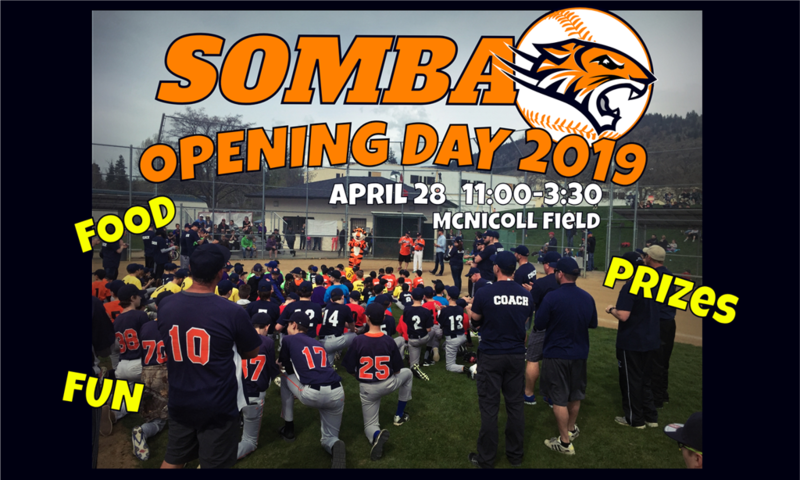 Sunday April 28 from 11:00am-3:00pm SOMBA will hold our Opening Day Festivities for 2019 at McNicoll Field. There will be lots of fun activities for kids and ball players. Scheduled activities include a bounce house, tattoo station, home run derby, base rase, and bat spin. SOMBA merchandise will be available for purchase, and there will be ice cream and cupcakes. There will also be performance of the national anthem and the air cadets will present a flag demonstration. Opening day is a great way to kick of the baseball season and will be fun for the whole family!